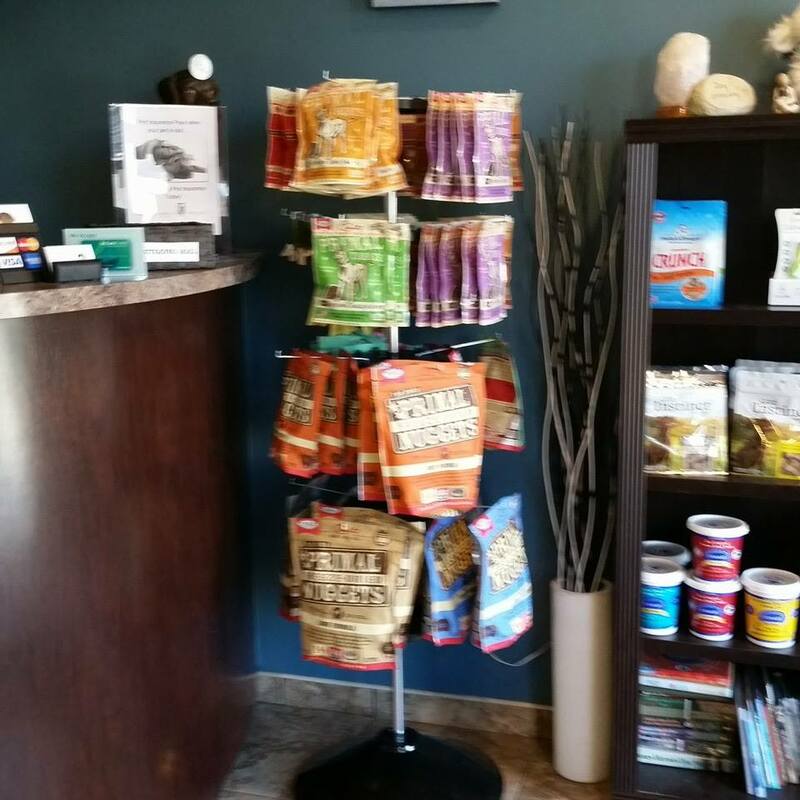 Williston Park Animal Hospital is proud to offer Primal Raw & Freeze Dried raw food for dogs & cats. Primal Pet Foods are 100% human grade, grass or vegetarian fed and certified organic. We feed our own pets’ raw diets and notice the many health benefits it has including shiny coats, increased energy level and overall good health. 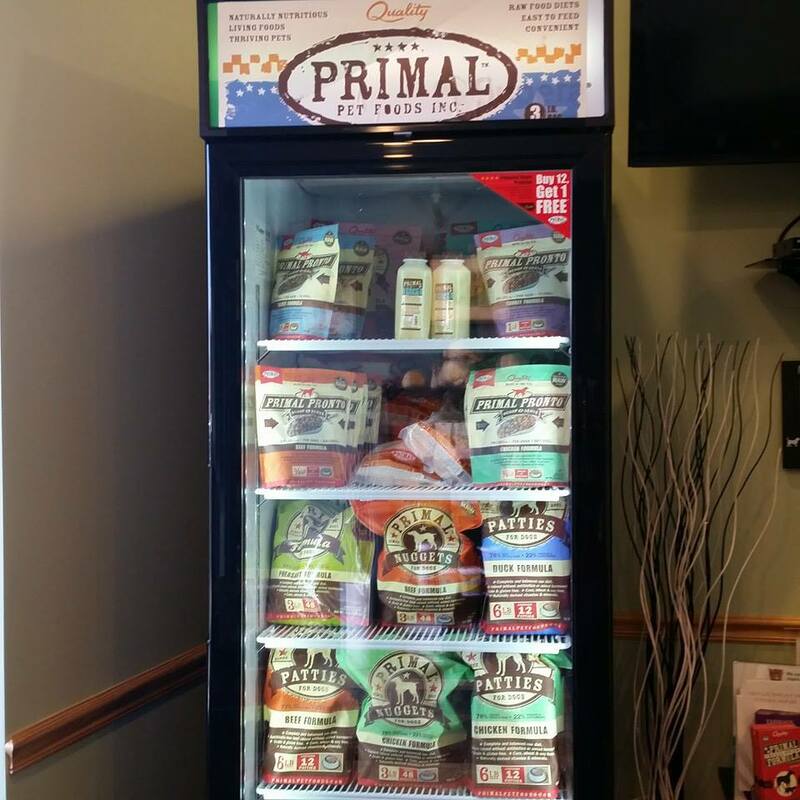 We carry the full line of Primal Raw Food which includes Frozen Raw Food Nuggets & Patties & Frozen Pronto, which is a quick defrosting raw food in pellet form. We also have the Freeze Dried Raw diets. Freeze dried is very convenient – you can store it at room temperature and just add water when you are ready, which is great for traveling with your pet. Available flavors include: Beef, Chicken, Turkey & Sardine, Duck, Pork, Venison, Lamb, Rabbit & Pheasant. We also carry Raw Marrow Bones which are beneficial for your pet’s teeth – as they help to remove tartar while your pet chews on them. Since they are bones, we do recommend only giving them to your pet under direct supervision, and giving the right size so that they can’t swallow them. Primal Raw Goat Milk – a great source of natural digestive enzymes and probiotics for your pet. 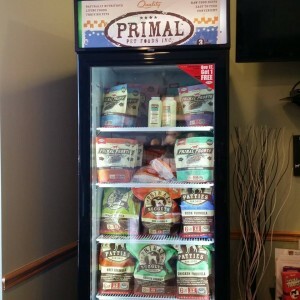 Primal Organic Treats – in many sizes and flavors – including nibs, chips & liver snacks. These are great single source protein treats for the pet that has allergies. Please feel free to stop in and ask us about our Primal Pet Foods and also check out the Primal website to learn more about their foods.